Entangle/Untangle is a part of the body of work Creatures of Habit, from my BFA thesis in 2014. 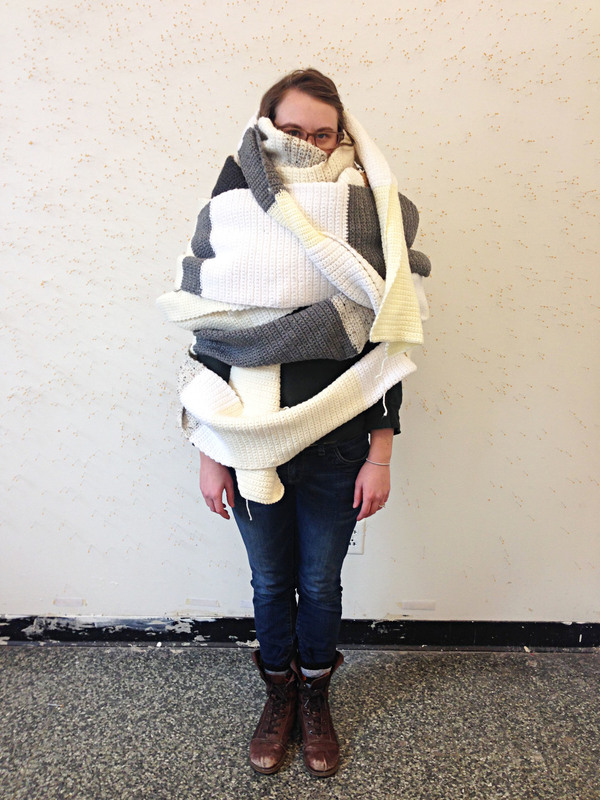 Entangle is a seventy-nine foot scarf. The crocheted stitch is used as a repeated mark that tracks my movement between six of the most important places I spent my time. Each place had an assigned color that built a striped pattern over time. My studio was cream yarn, my apartment was white yarn, my fiancé’s apartment was gray, my church was a speckled tan, my parent’s house was dark gray, and my parents’ office was a rusty brown. 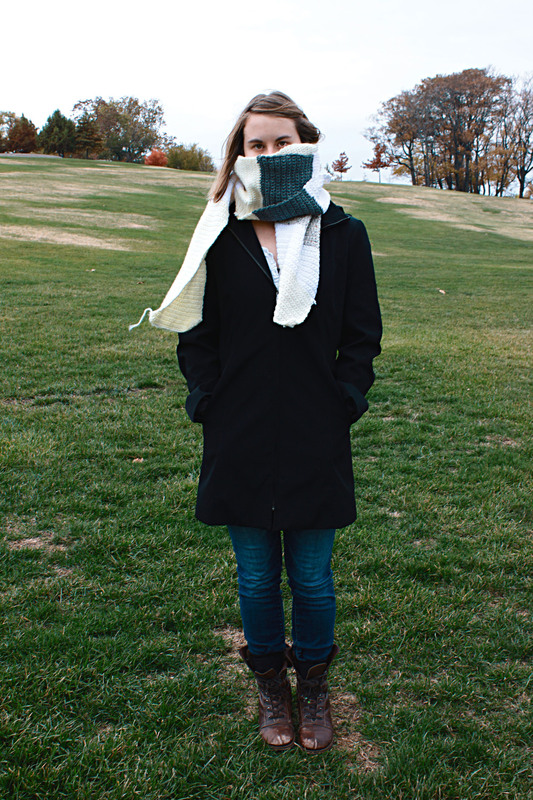 Functionally, scarves serve as protection and comfort from the cold. 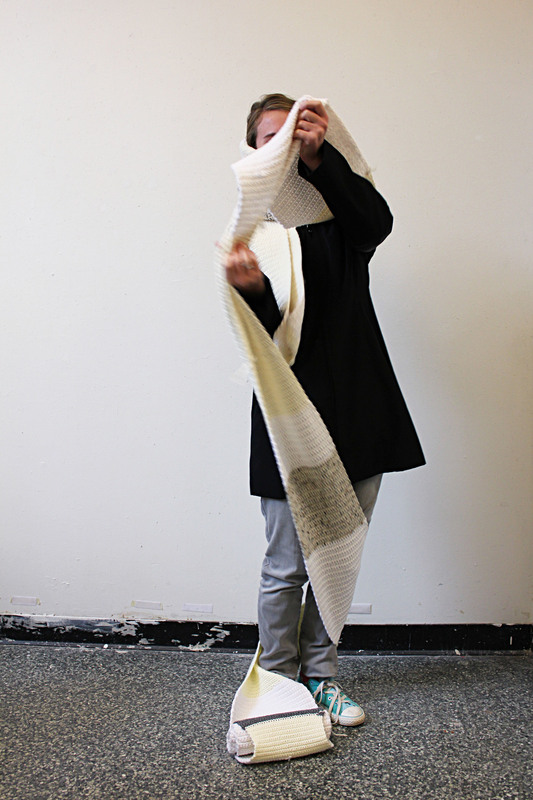 However, after six months of continual crocheting, the scarf outgrew its functional qualities and transitioned into a burden and source of anxiety.The transition from functional to a source of anxiety reflects the way some habits, while intended to create a sense of structure, potentially can trap and confine us instead. 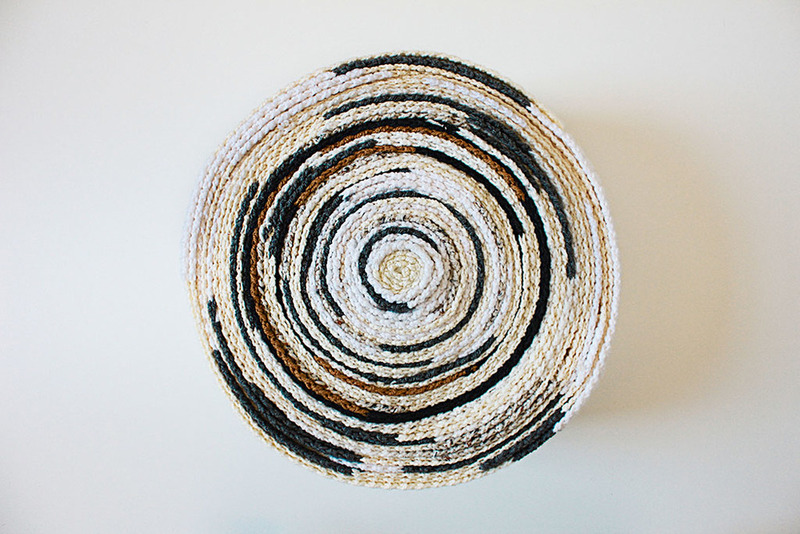 Untangle is a partner piece that takes a new approach to the display of the original scarf. I scanned the scarf at a 1:1 scale and bound the pages into an accordion style book, which reorganized it into a more manageable layout. In book form, the scarf is suddenly easy to hold and transport. 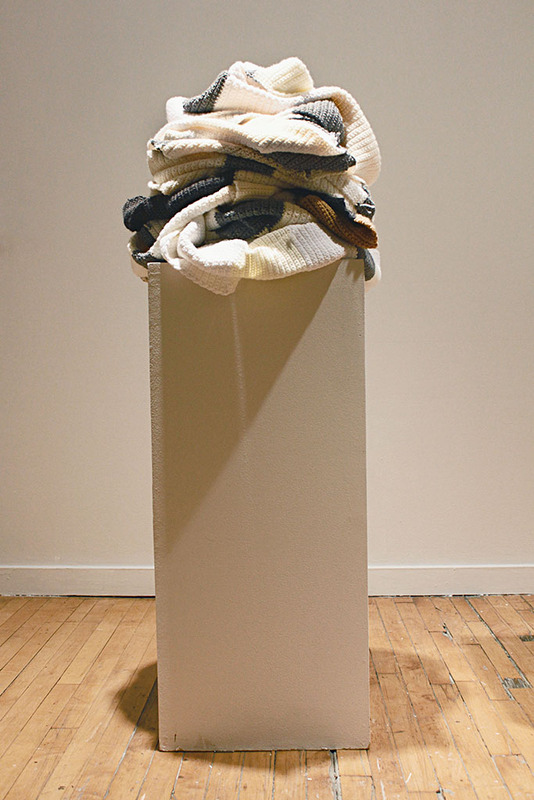 Similarly, viewers can easily flip through the pages to follow the scarf’s growth and patterns instead of having to pull and tug at the large, heavy original. Untangle represents a method of taking back lost control in an overwhelming situation. When our habits lose their positive functionalities, it is necessary to take a step back and re-evaluate.